Here are some local events to enjoy. The Rancho Mirage Restaurant Association, the Rancho Mirage Chamber of Commerce and the City of Rancho Mirage have teamed up once again to kick off the 3rd Annual Taste of Summer Rancho Mirage, an event whereby participating Rancho Mirage restaurants and resorts have created cool summer specials. Thanks to Councilmember John Aguilar who donated a generous portion of his City discretionary funds, the film series will allow free admission in order to see a different movie geared towards kids each Friday morning. The American Society of Aviation Artists International Juried Art Exhibition features works by more than 25 acclaimed artists from around the world. Traveling and temporary exhibition, included with regular museum admission. Tickets $15 cash only at the door. See website for show schedule. A monthly event every first Wednesday of the month through April. Guests can stroll through the various galleries to view fine and original art including contemporary paintings, glass sculptures, bronze works, and other art genres, while also visiting other shops. The first Wednesday of each month experience Art Walk where galleries are open for guests to meet the artists, visit working studios and enjoy original fine and decorative art all in one location. Join us the first Saturday of every month for Coachella Valley Makers Market, featuring local art, handcrafted goods, independent brands and live music. This is your chance to snap up everything from fine art to artisan foods, wellness goods, unique jewelry, art prints, zines, clothing and more! Lead and taught by The Yucca Valley Star Twirlers. No host bar: Beer and Wine. $25 go to Mil-Tree. Mil-Tree’s mission is to bring Veterans, Active Duty and Civilians together through arts and dialogue to help transform the wounds of war. Celebrates the microbrewers, hop heads, cask masters and maltsters who make the world a better place for beer lovers. Taste the day away with over four dozen breweries, beer tastings, small bites, live entertainment and tales of the trade regaled by the brewers themselves. Craft Beer Festival: Saturday 12-5pm. Beer Brunch: Sunday 11am-1pm. A joint fundraiser to support the Palm Springs Cultural Center and the Palm Springs Animal Shelter. Ashley Bell and a team of elephant rescuers led by world renown Asian elephant conservationist Lek Chailert, embark on a daring 48-hour mission across Thailand to rescue a 70-year-old captive blind Asian elephant and bring her to freedom. Featuring over two dozen bands. Attendees can also browse the Festival Marketplace for festival t-shirts, hats, and posters, and also for jewelry, pottery, and other crafts created by the Idyllwild area’s many outstanding artists. The Marketplace also offers a broad range of food and drink options, including Cajun cooking and barbecue, ice cream and smoothies, and much more. Time/Place: Idyllwild Arts Academy: 52500 Temecula Rd. 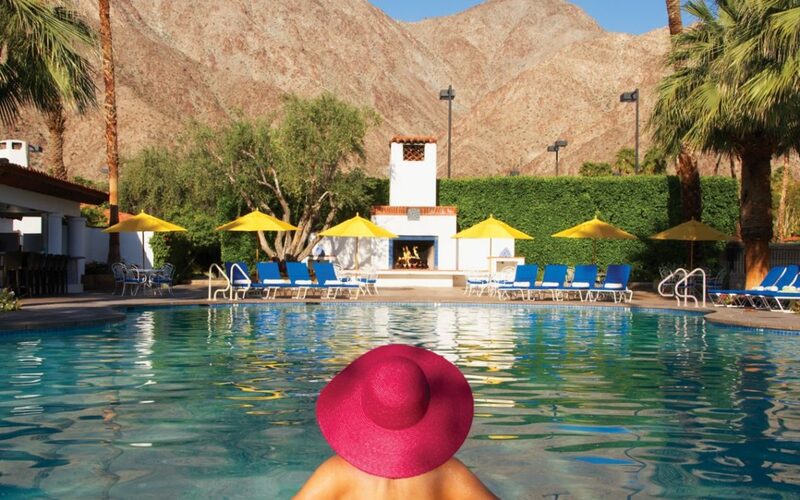 A multi-venue music festival hosted poolside at three hotel resorts in Palm Springs. By night, the Palm Springs Air Museum hosts the After Hours program – a pair of open air parties back-dropped by vintage aircrafts and the glowing airport tarmac. “A Passion For Fashion.” It’s free, it’s fun, and it’s all about fashion. This month’s feature film is “The Cook, The Thief, His Wife & Her Lover.” An artful masterpiece with clothing design by Jean Paul Gaultier, starring Helen Mirren and Tim Roth. Hosted by Cheryl Montelle and featuring an exciting line-up of new eclectic artists, come hear more true-life experiences and a few tall tales from some of the Desert’s best storytellers- and some special guests. A no-host bar and social begins at 6pm. A global competition in animation and exhibition of the worlds most talented artists in the world. The festival and expo also includes VR experiences, live animation demonstrations, character and model sculptors, animation panel discussions, seminars, and educational programming will be held in conjunction with an international poster contest. All your favorite artists, creators, celebrities, and cosplayers to one explosive annual event! Come out and meet up with this year’s special guests including Edward James Olmos, Kevin Sussman, Bret Iwan and more. Festivities also include exhibits, autograph/photo ops, costume contest, Lego room, celebrity booths and much more! Bowl-a-Thon to support United Cerebral Palsy of the Inland Empire. All proceeds help us continue to provide six Skill-builders after school Summer Camp Programs in Indio, Desert Hot Springs, La Quinta, Mecca, Palm Springs & Cathedral City. Lane Sponsor $300.00 includes a banner at the end of your lane, 1 team of five bowlers, including shoes, lunch and a great time! Downtown Palm Springs transforms into a diverse array of artists, artisans, entertainers, and purveyors of fresh fruits and veggies, flowers, jewelry, snacks and sweets. Add all that to the great shops, restaurants, clubs, and entertainment venues located along World Famous Palm Canyon Drive – and the result is one of Southern California’s most popular weekly events: Village Fest!